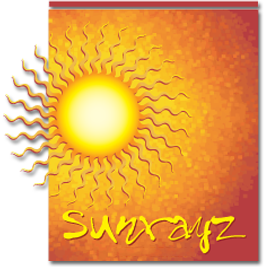 Welcome to Sunrayz Tan, located in Muskego, Wisconsin. You may have a vacation to the tropics approaching, a special event to attend, need extra vitamin D, or you just want to look and feel great. Get that perfect tan with our top quality indoor tanning services in a relaxing environment. We also offer a Thera Sauna utilizing infrared heat to help you relieve pain and stress, while burning calories and eliminating toxins. Stop in to speak with one of our friendly tanning consultants who will show you what Sunrayz Tan has to offer and help you achieve your tanning goals!